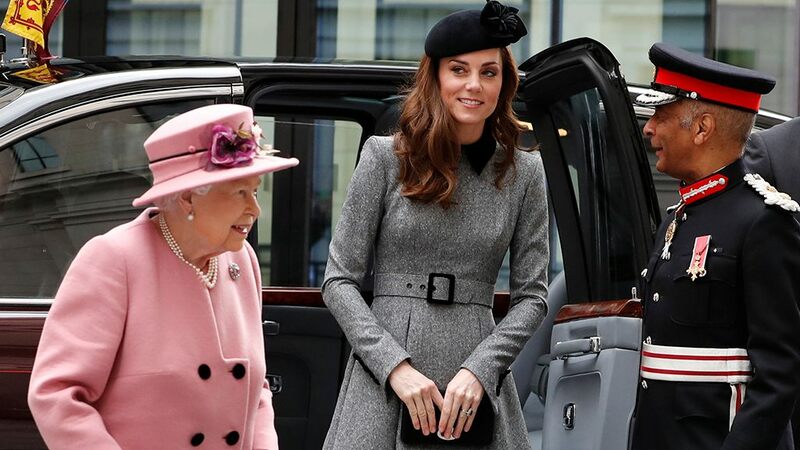 Britains’ Queen Elizabeth II accompanied by Kate, Duchess of Cambridge arrives at Kings College in London, Tuesday, March 19, 2019. 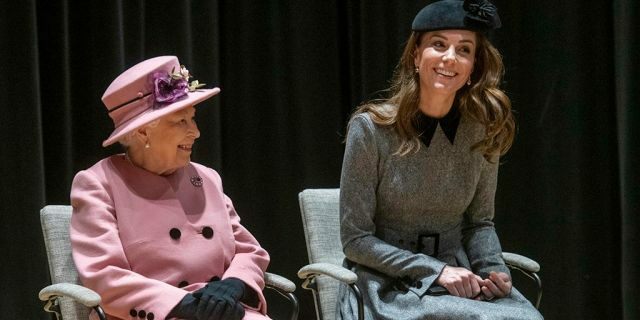 The Queen and Kate Duchess of Cambridge, will visit King’s College London, Tuesday, to open Bush House, the latest education and learning facilities on the Strand Campus. The outing is Middleton’s alone with the monarch since she married into the royal family in 2011. “The Queen is Patron of @KingsCollegeLon – which is the 4th oldest university in England. Today The Duchess is accompanying Her Majesty to see Bush House, a set of buildings which have been converted to include lecture theatres, teaching rooms, and an auditorium,” the family’s account announced in a separate tweet. Britain’s Queen Elizabeth II and Kate Duchess of Cambridge unveil a plaque at King’s College London to open Bush House South Building, the latest education and learning facilities at the Strand Campus, in London, Tuesday March 19, 2019. Later, the monarch unveiled a plaque in the university’s new auditorium, “formally opening Buah House,” according to a news release. Both Middleton and the Queen signed the visitor’s book as well.